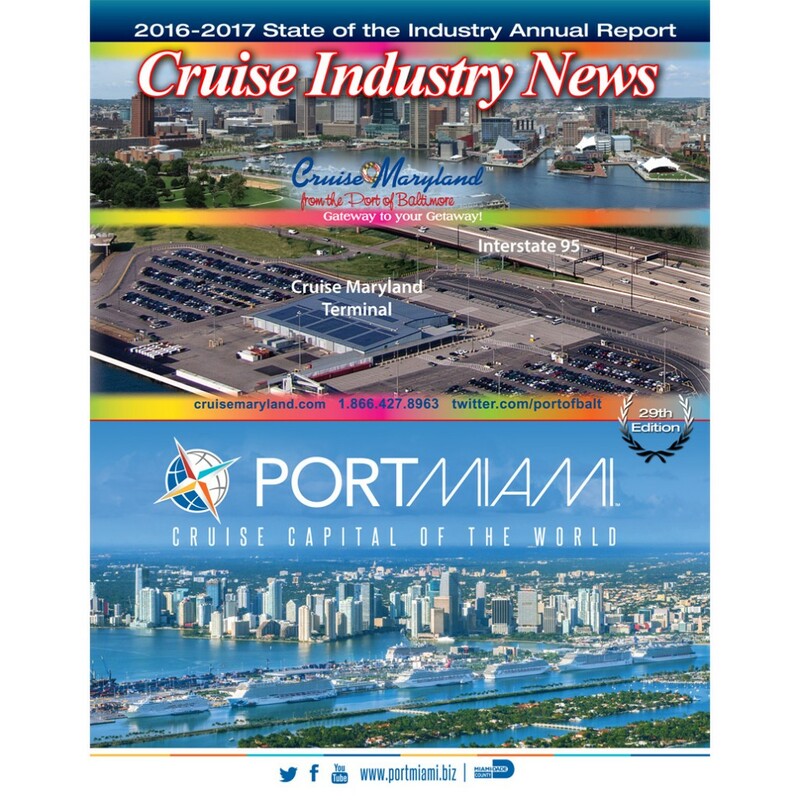 The Cruise Industry News Annual Report 2016-2017 is the only information resource of its kind -- presenting the entire worldwide cruise industry in 400 pages. 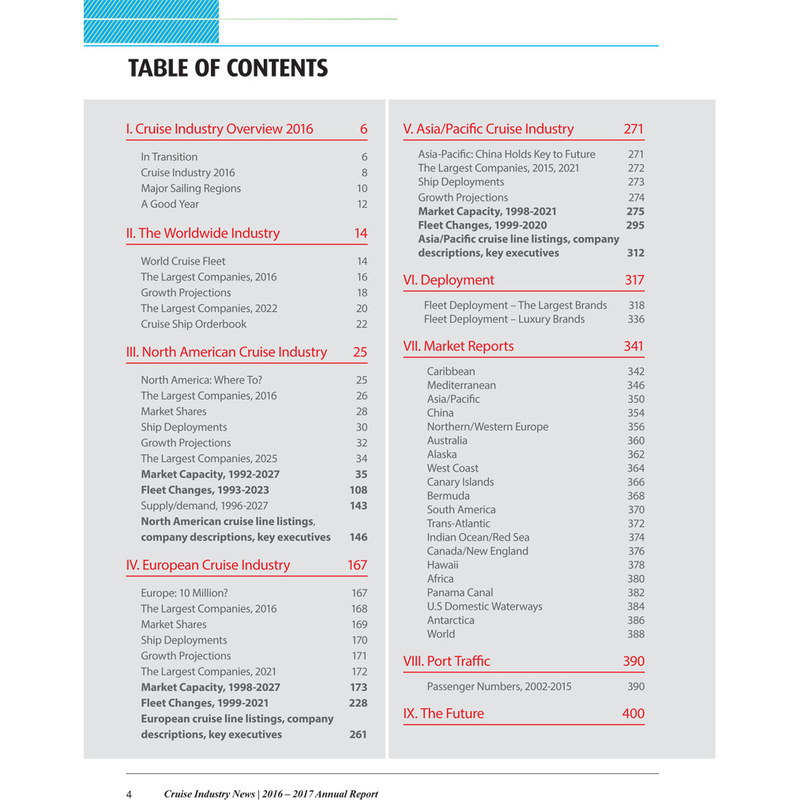 This resource book is like no other. 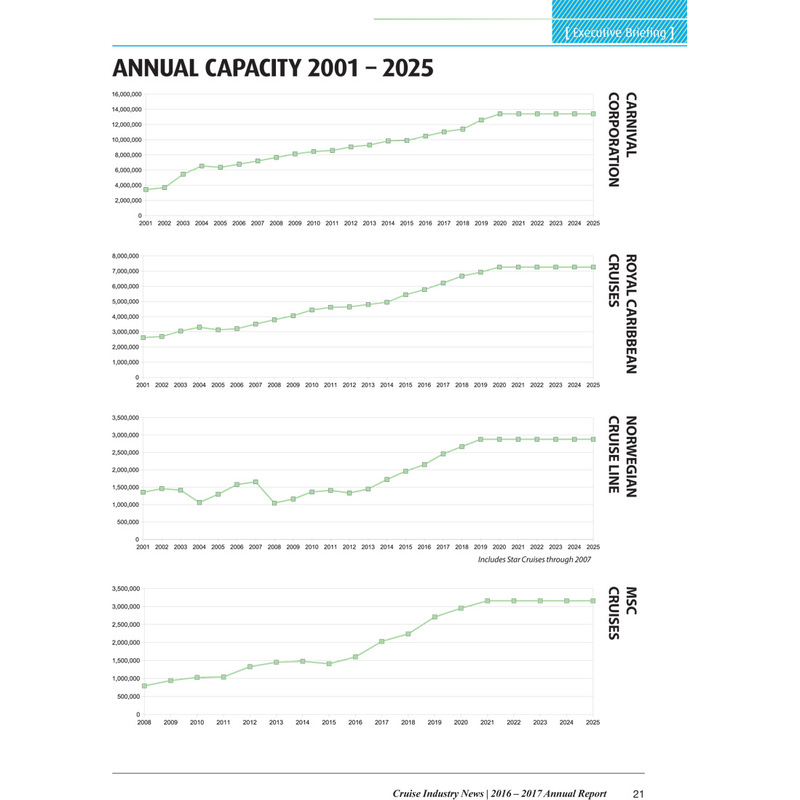 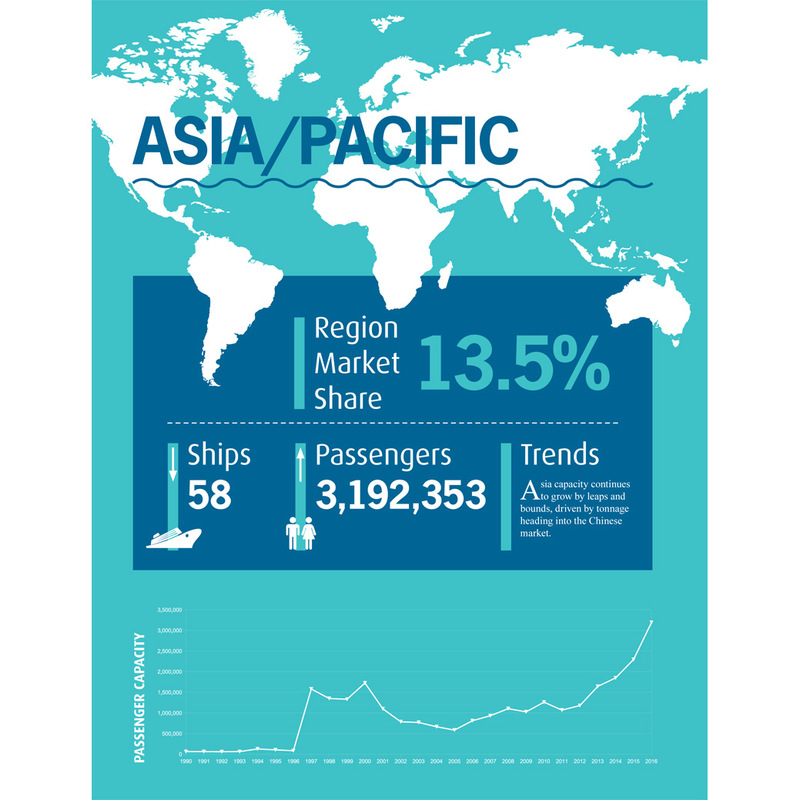 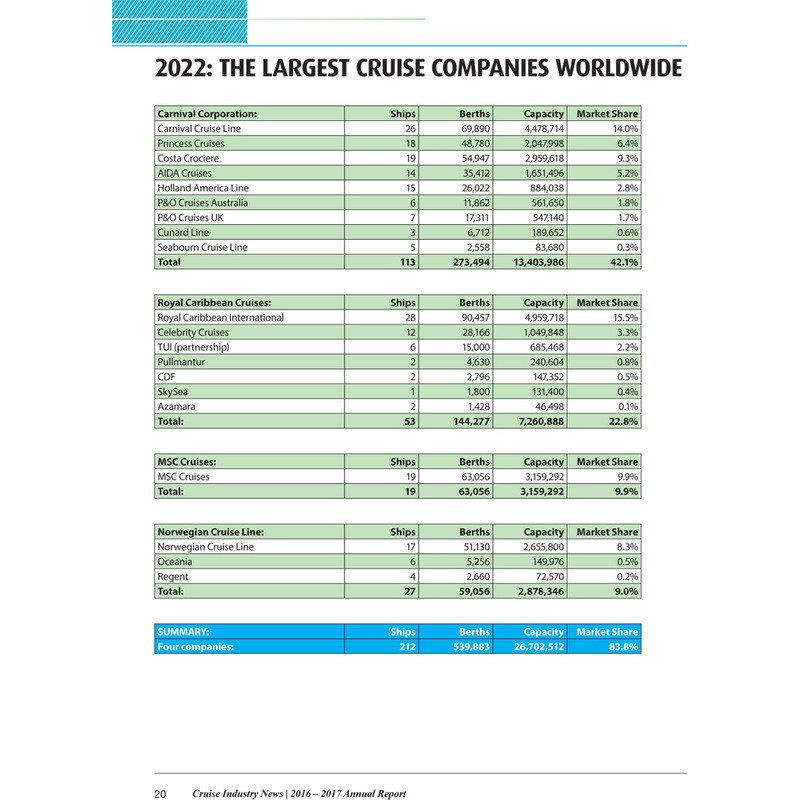 The Cruise Industry News Annual Report 2016-2017 is the only information resource of its kind -- presenting the entire worldwide cruise industry in a 400-page report, from new ships on order to supply-and-demand scenarios from 1987 through 2025, including a future outlook through 2025+ growth projections for each cruise line, and detailed ship deployment by region and market of all the cruise lines.